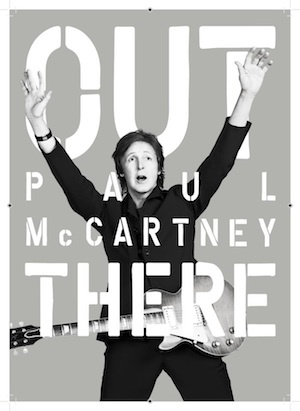 I am only days away from being in the presence of Sir James Paul McCartney. Days. Honestly I can’t even believe I just wrote that sentence because of how crazy it is that this day is actually going to happen. Paul will be on stage, I will be a minuscule one of thousands, but we will be in the same place at the same time, together, and that’s all I need. As well as love, because The Beatles said so. Hoping to convince Will of posing this way with our future child. My love for Paul has never competed with any of the other Beatles. I love all of them, obviously, but to me Paul has always stood out among the others in both looks and talent. 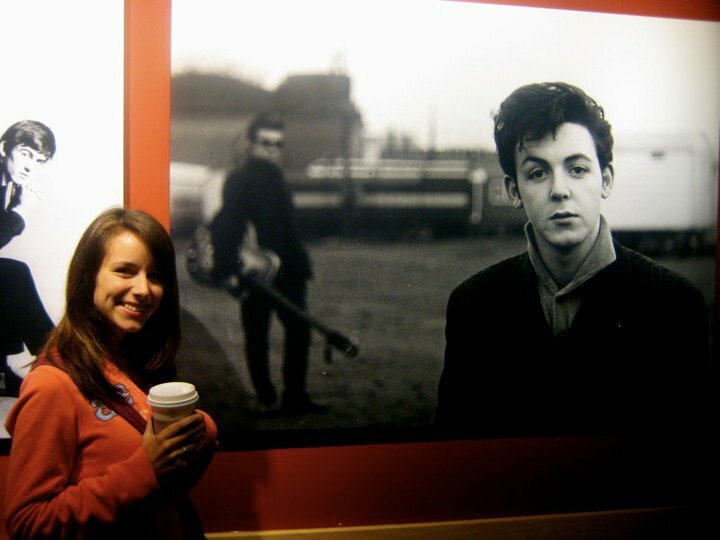 Whenever I was having a “I’m really in love with Paul” day (yes those happen(ed)), I would wonder what kind of Beatles fan I’d be had I been a 16 year old in the midst of The Beatles’ worldwide fame. Would I have been the kind of fan who ran after The Beatles in their car? Would I have screamed my vocal chords to shreds and yanked on my hair and face throughout the entire concert? Would I have been carried off by the police because I tried to crawl through their car window? Fainted and missed the entire concert? I gave this a lot of thought and eventually concluded that none of these types of fandom made sense to me. Whenever I watched “The Beatles Anthology” I was always infuriated by these count-your-blessings-lucky teenage girls who threw away their chance at being in the presence of The Beatles. I mean if my friend returned from her Beatles sighting only to report that she had spent a total of 30 seconds near them due to be thrown over the shoulder of a policeman for trying to touch Ringo’s nose, I’d be pretty bummed out. Fainting is silly, and The Beatles actually had to stop touring because they couldn’t hear themselves play (thanks a lot, ladies!). So with fainting and screaming and being arrested out of the running, what kind of fan is left? Who would I have been in 1964? At a Starbucks in Liverpool. The Beatles “A Hard Day’s Night” gave me my answer. At the end of the movie, The Beatles perform “She Loves You” for an ecstatic crowd of tweens, teens, and twenty-somethings. The camera jumps back and forth from one screaming, ear-clinging girl to the next, then eventually focuses on one girl who is absolutely beside herself with emotion. She’s not screaming, she’s not bawling her eyes out, she’s not passed out on the floor. She’s just teary. She’s staring at The Beatles, and letting tears run down her cheeks. This, to me, encompasses what it is to be a true fan of a band and its music; to be so overwhelmed by the person or people in front of you as well as by the sound being produced that all you can do is tear up in response. The camera focuses on this particular girl three times, and on the third time she calls out for George right as the song comes to an end. I’m 100% certain that I will be this girl, silently crying through the majority of Paul’s concert, specifically if and when he plays “Hey Jude”, “Let It Be”, “Yesterday”, and/or dedicates any songs to John or George. I have been dreaming of this day my entire life, and though there is currently a chance of rain and a definite chance that I will have an enormous crick in my neck and a charley horse in both of my calves the following morning from 4 to 5 hours of standing in the “General Admission” section, it will all be worth it just to be a teary-eyed fan at a Paul McCartney concert. What kind of Beatles fan would you have been?